In addition to the Omega La Magique which I built and posted a few days back I wanted to do something with the supplied watch. 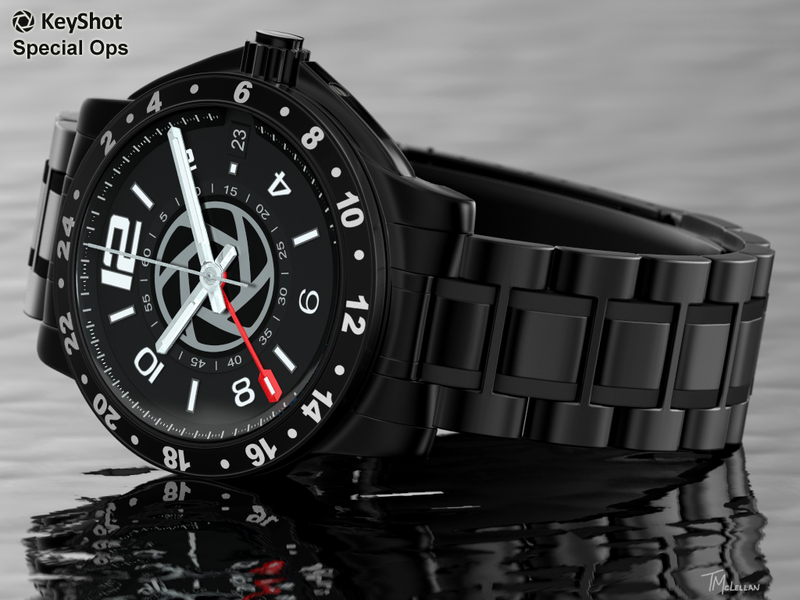 Introducing the KeyShot Special Ops Edition. NO post except a small area on the wristband where there was a gap from the model not having the pins and my name in the corner. 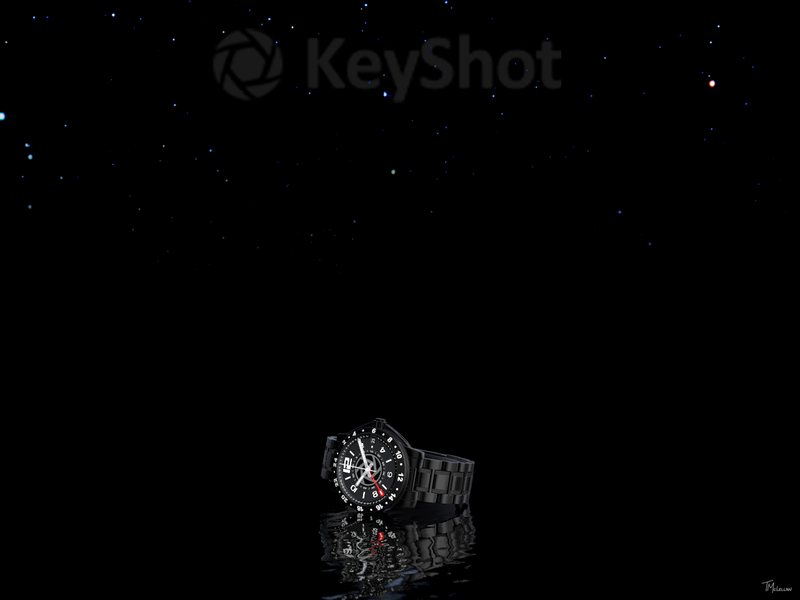 Looks really nice that, but my eye instantly sees the centre segment of the bracelet intersecting the watch case. Nice combo of black textures though. 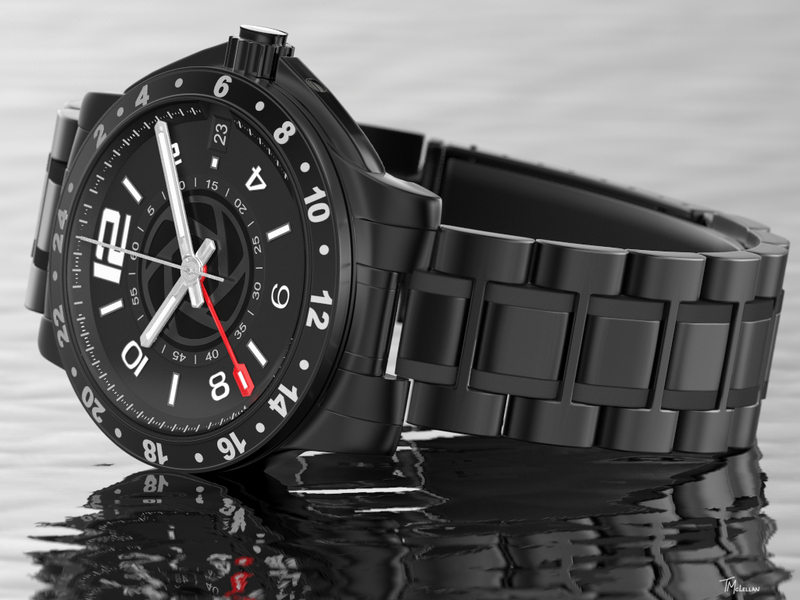 Love it, KeyShot Special Ops! Beautiful black material and the water is a great addition. CA - Thanks, I will have to see what I can do later about that eye catcher. I am trying to keep as much as possible in KS alone. The issue in this case is the model gap is not consistent with the other link spacing. I love the first one very much.